`It has always seemed to me that what I write is about humanity in extremis, pushed to the unendurable, and that it is important to tell people what really happens in wars.' Marie Colvin, 2001Marie Colvin was glamorous, hard-drinking, braver than the boys, with a troubled and rac... read full description below. `It has always seemed to me that what I write is about humanity in extremis, pushed to the unendurable, and that it is important to tell people what really happens in wars.' 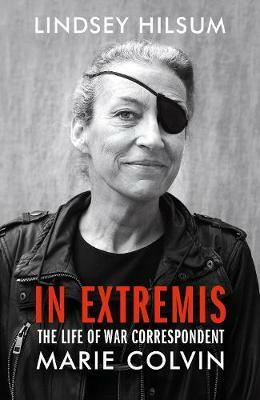 Marie Colvin, April 2001 Marie Colvin, `the finest war correspondent of a generation', was glamorous, hard-drinking, braver than the boys, with a troubled and rackety personal life. With fierce compassion and honesty, she reported from the most dangerous places in the world, fractured by conflict and genocide, going in further and staying longer than anyone else. Like her hero, the legendary reporter Martha Gellhorn, she sought to bear witness to the horrifying truths of war, to write `the first draft of history' and crucially to shine a light on the suffering of ordinary people. Joining the Sunday Times in 1986, Marie went on to report on the major conflicts of our time: Israel and Palestine, Chechnya, East Timor, Sri Lanka - where she was hit by a grenade and lost sight in her left eye, resulting in her trademark eye-patch - Iraq and Afghanistan. Her anecdotes about encounters with dictators, presidents and kings - including Colonel Gaddafi and Yasser Arafat, whom she knew well - were incomparable. She was much admired, and famous for her wild parties as well as the extraordinary lengths to which she went to tell the story, including sneaking into Syria which led to her violent death in 2012. Written by fellow foreign correspondent Lindsey Hilsum, this is the story of how a girl born in the late 1950s and brought up in the stifling suburbs of Long Island became celebrated across the world as the most daring war reporter of her age. Drawing on unpublished diaries and notebooks, and interviews with Marie's friends, family and colleagues, Hilsum conjures a complex, driven, humorous woman whose concern for the victims of war led to an extraordinary life and tragic death. In Extremis is the story of our turbulent age, and the life of a woman who defied convention.